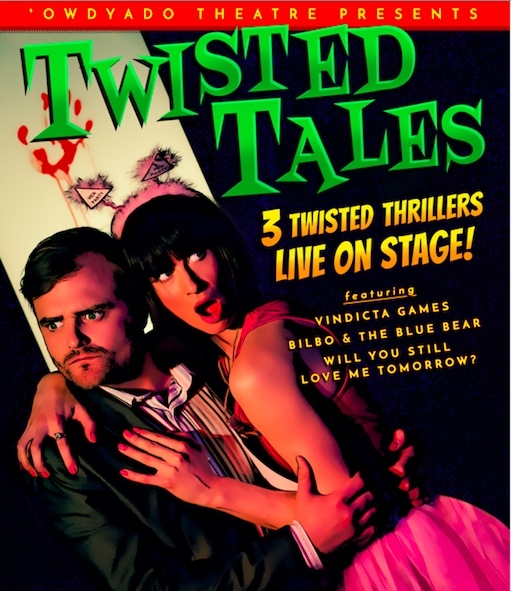 Twisted Tales is a hilariously dark triple bill of riotous comedies that reveal the darkness under the domestic; the lengths people will go to for love and how to wash blood stains out of a carpet. WHY HAVE three strangers; a brash Bristolian, a Cockney wide-boy & an introverted blogger been summoned to play a deadly locked-room mystery? WHO IS the bandaged man, obsessively in love and held captive inside an upmarket flat, counting down the seconds until it’s time for her to return and “thing I can’t say” to begin. HOW WILL two children’s TV presenters dispose of a corpse before time runs out? All they have is their wits, their arts and crafts skills and a foul-mouthed, criminal genius glove puppet. Support our friends at Tiverton Community Radio, and keep up-to-date with local news and events.